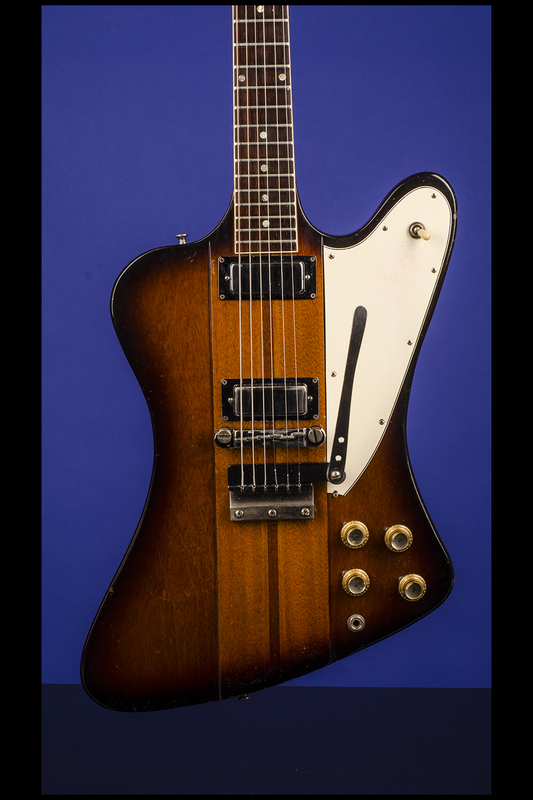 Firebird III Guitars | Fretted Americana Inc.
1964 Gibson Firebird III "Reverse"
One of just 1,254 of the 1964 year 'reverse bodied' Firebird lll model, this guitar weighs just 8.60 lbs. 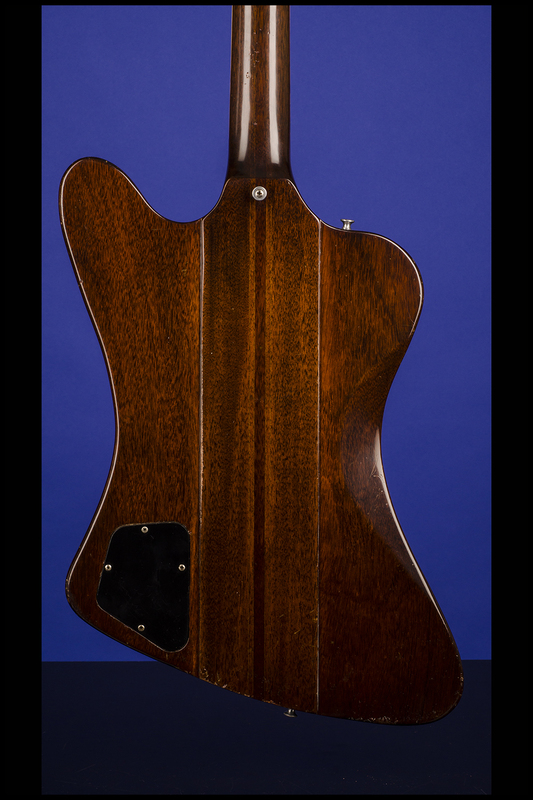 and has a nice, fat nut width of 1 11/16 inches and a standard Gibson scale length of 24 3/4 inches. 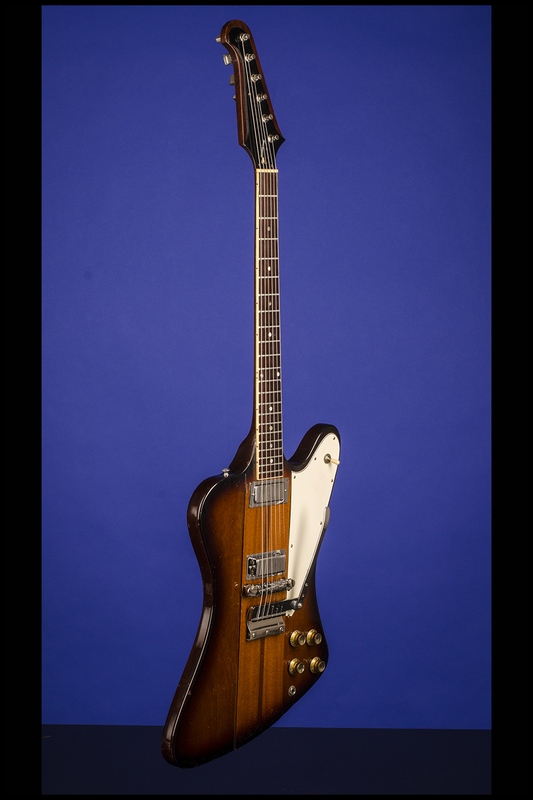 Neck-through-body construction with nine-piece laminated mahogany center section and two glued-on wings. 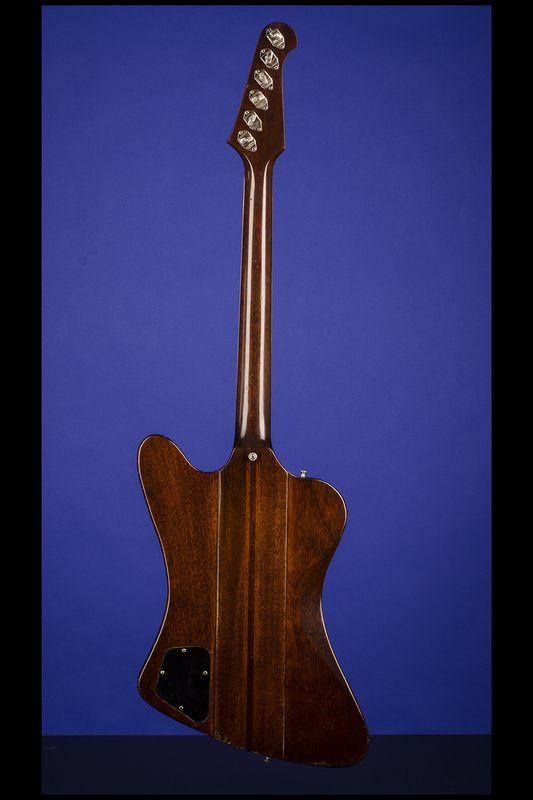 Mahogany neck with a very fast medium profile and bound rosewood fretboard with 22 jumbo frets and inlaid pearl dot position markers. Headstock with (replacement) gold-painted "Gibson" logo on black plastic truss-rod cover secured by three screws. 'Reverse' peghead with individual Kluson Banjo-style tuners with rearwards metal tulip-shaped buttons. Serial number “212551” impressed into the back of the headstock. 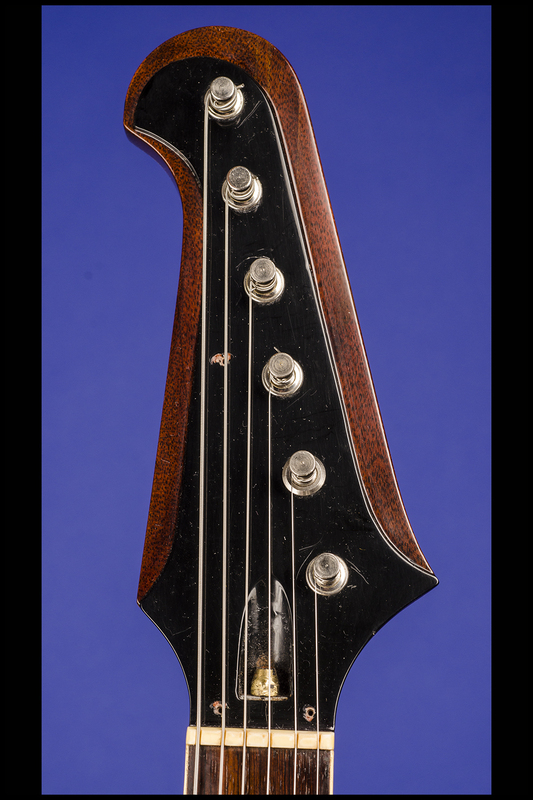 Two "patent number" mini-humbuckers (built without adjustable pole-pieces) with outputs of 6.36k and 7.46k, each with a 'partial' black rectangular label on the underside with "Patent No. / 2,737,842" in gold. Three-layer (white over black) plastic pickguard with eight screws and "Firebird" emblem in red. 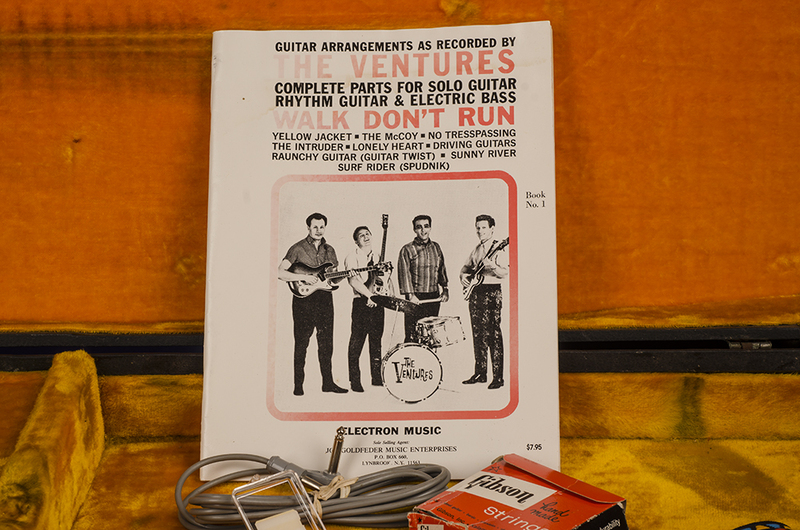 Four controls (two volume, two tone) plus three-way selector switch. 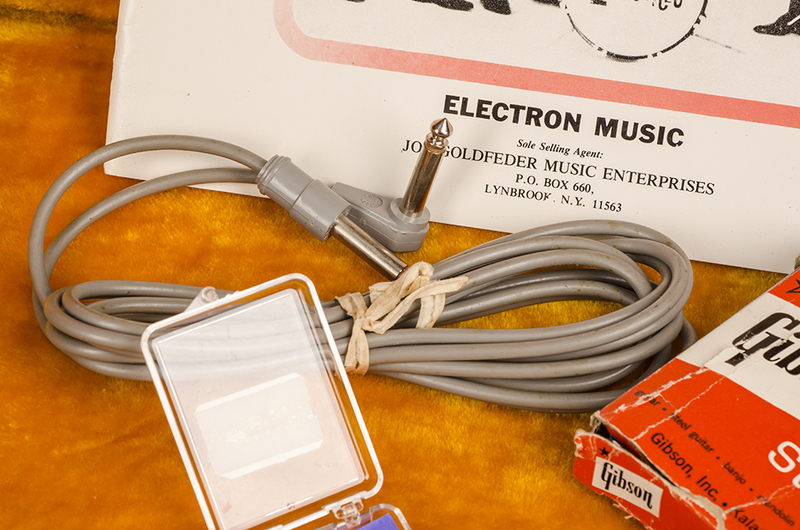 The original potentiometers are stamped "137 6428" (CTS, July 1964). Gold plastic bell-shaped knobs with metal tops. 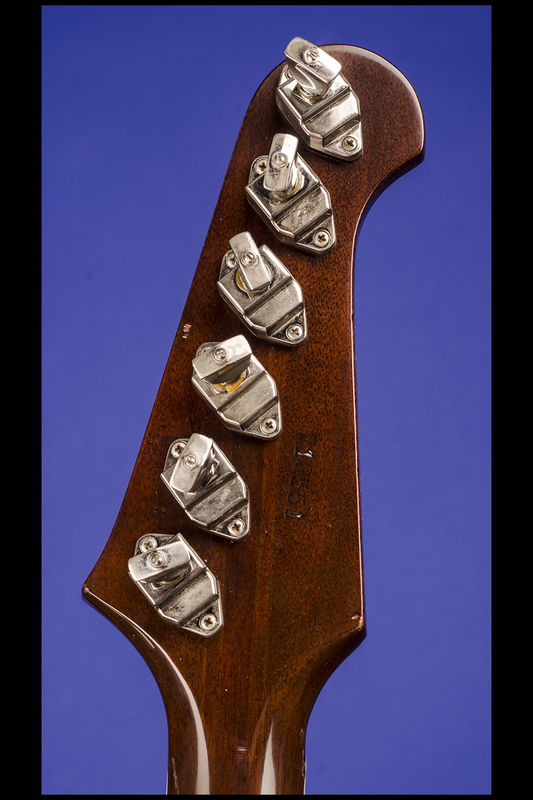 Combination bar bridge/tailpiece with pre-set ridges and two adjustable intonation screws. Factory Gibson short Vibrola tailpiece with flat arm. All parts nickel-plated. 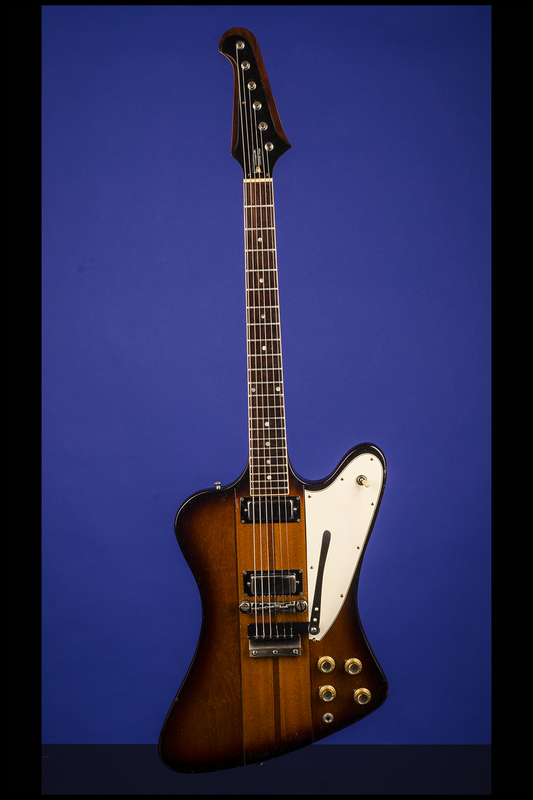 Overall this totally original and unmolested Firebird III is in exceptionally fine (9.00) condition. There is a small area of surface wear on the edge of the treble horn and a few very small and insignificant 'dings' on the edges of the body and the back of the neck. The original truss-rod cover has been replaced (these are notorious for breaking) and the ref 'Firebird' emblem on the pickguard is very faded. The lower tip of the pickguard has broken away just by the screw, and the plastic washers on the tremolo arm have been replaced for metal ones - they work much better! 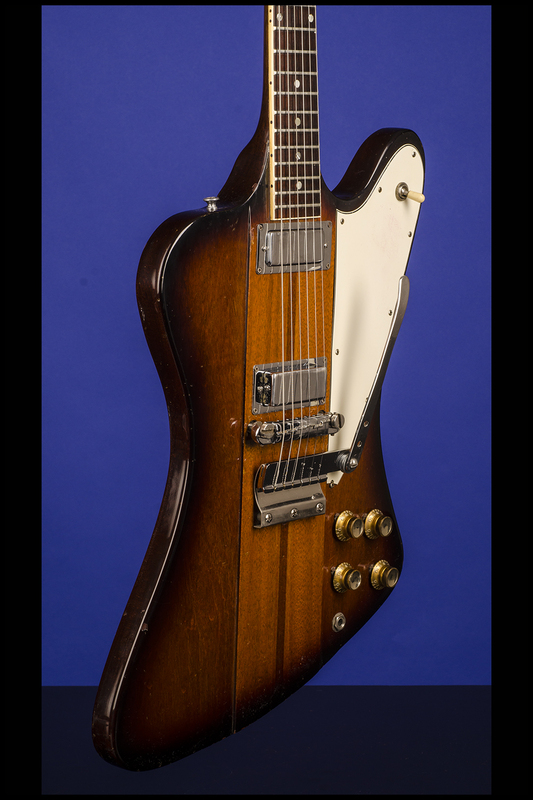 Otherwise this amazing playing and sounding Firebird III is one of the cleanest examples that we have ever seen. The original 'jumbo' frets and the fretboard show very little signs of playing wear. 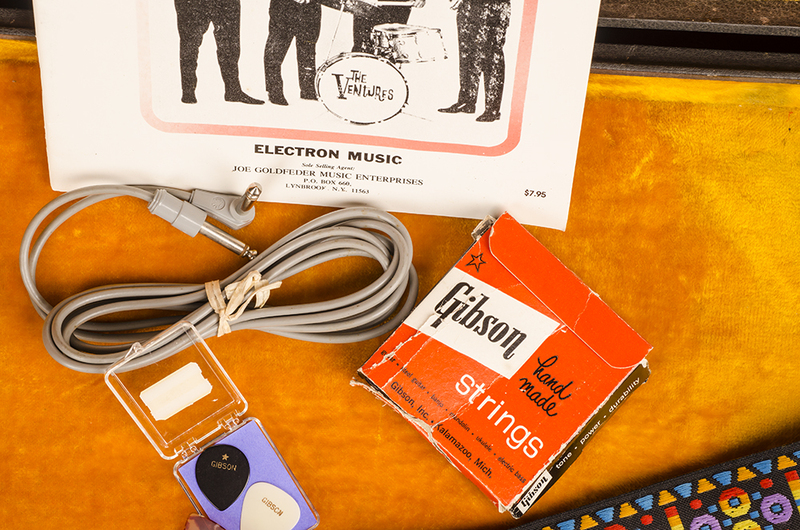 Housed in the original four-latch rectangular black hardshell case with yellow plush lining (9.25). 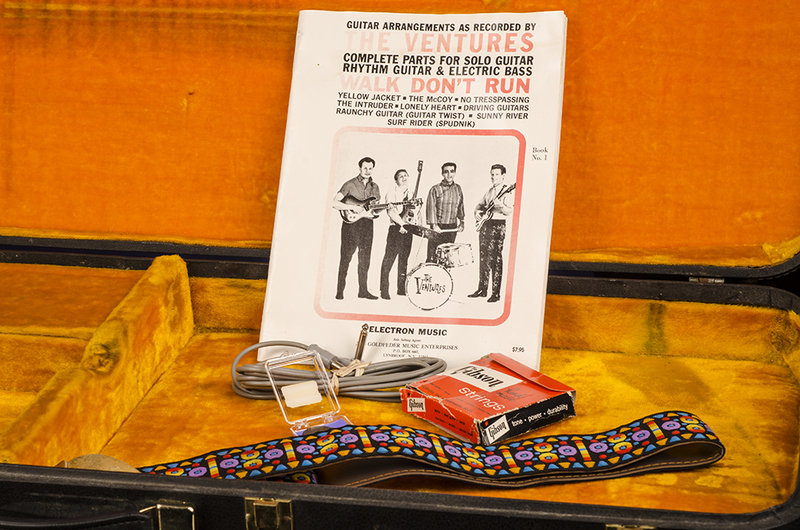 Included in the case is the original Gibson tan leather and decorative cloth guitar strap, the original guitar cord, the original case key, an original boxed set of Gibson hand-made strings and an original 32 page, 1963 "The Ventures" guitar arrangement book. 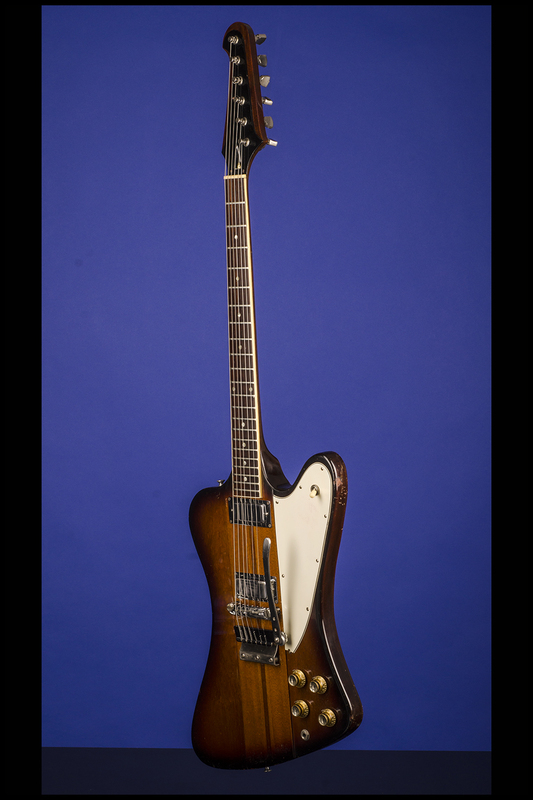 "Announced in Spring 1963, the original Firebird series was conceived as an attempt to produce less conventional electrics likely to appeal to Fender players. Four different models, identified by odd Roman numerals, were marketed simultaneously...The four models produced between 1963 and 1965 (a.k.a. 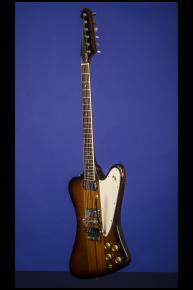 the 'reverse' Firebirds) share the same body specifications and differ only in fretboard style, electronics and hardware...The original Firebird electrics are primarily characterized by: a neck-through-body construction; a reverse body shape with extended lower horn; a reverse peghead with the treble E tuner nearest to the nut; banjo-style tuners with rearwards buttons; and they are all equipped with mini-humbuckers built without adjustable polepieces. 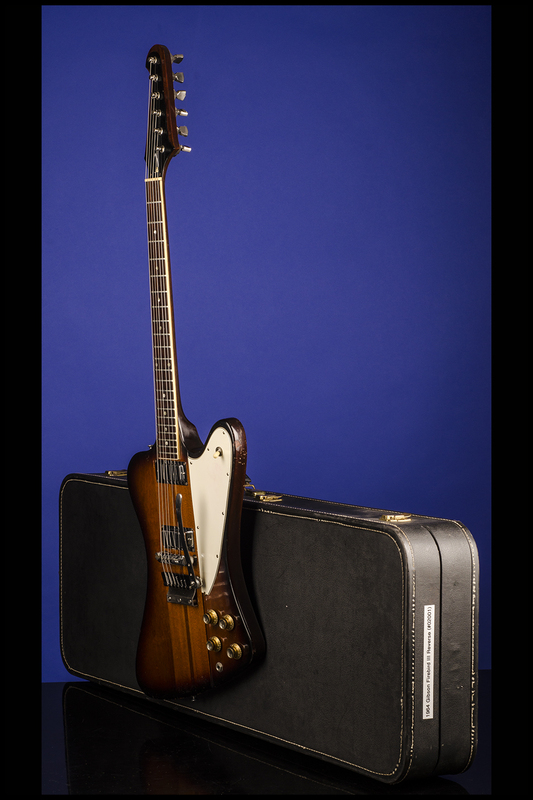 According to factory records, the earliest production models were registered in October 1963 with serial numbers in the 131,000s… For all practical purposes, the Firebird III was the equivalent of the Special found in the SG/Les Paul family. 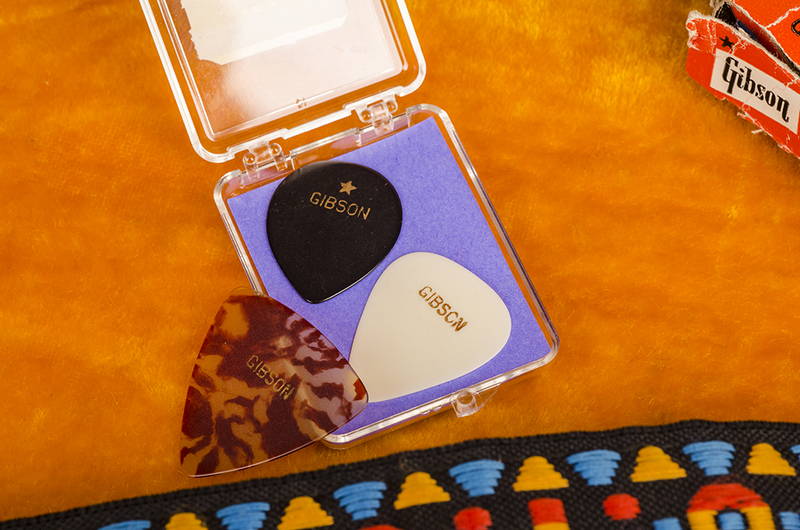 Compared to the FB I, the model is characterized by: a bound rosewood fingerboard; two pickups; individual volume and tone controls for each pickup; a 3-way toggle switch for pickup selection; a (short) Vibrola tailpiece with flat metal lever. 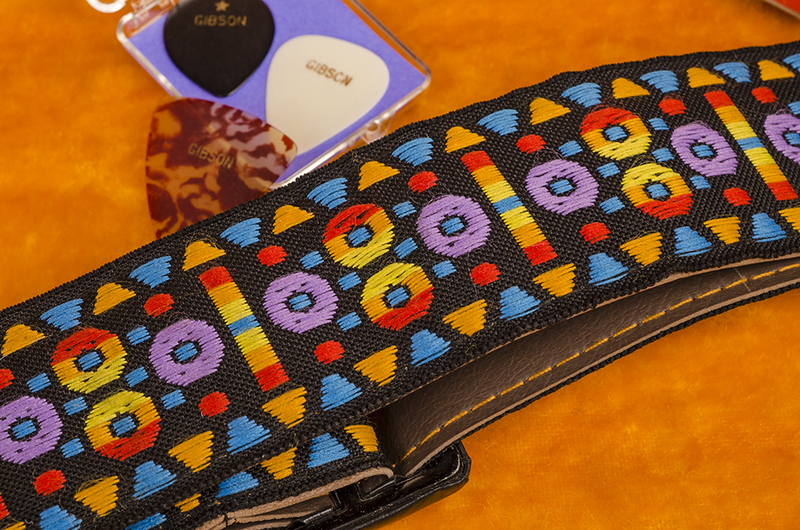 In spite of a Vibrola tailpiece, the FB III sports the same bar bridge with a pre-set ridge as the FB I. 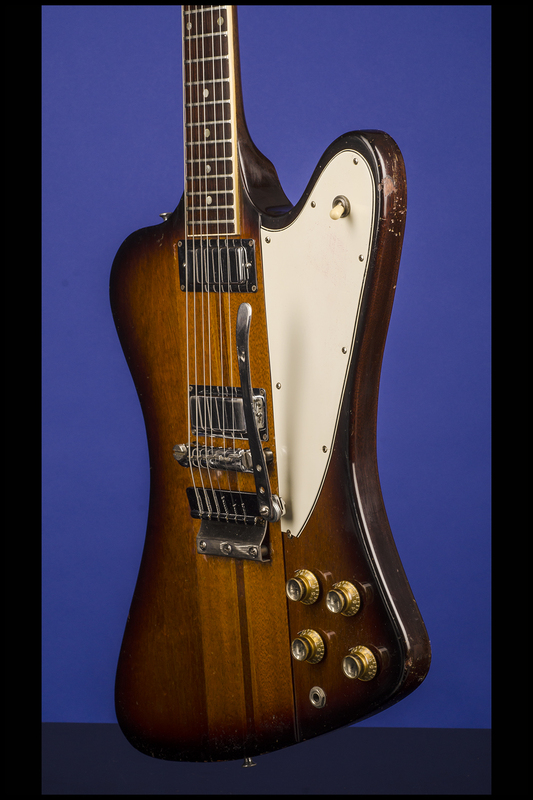 And because of its stud-anchoring this bridge cannot be replaced by a fully adjustable Tune-O-Matic bridge...The original Firebird series remained in production for less than two years" (A.R. 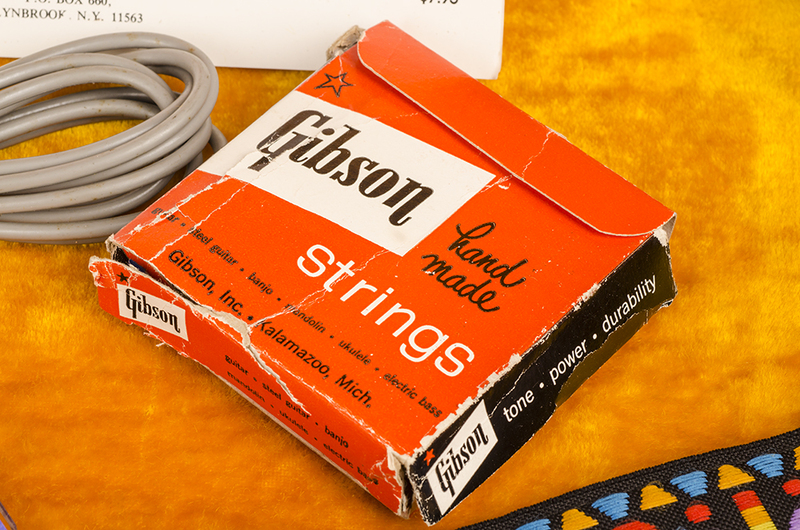 Duchossoir, Gibson Electrics -- The Classic Years, pp. 198-199).